"The need for Indigenous narrative sovereignty is evident," says the head of Canada's newly established Indigenous Screen Office. And he's not alone: the belief that Indigenous people should represent themselves as storytellers — in entertainment, media, and the arts — is seen as a way to push aside the colonial lens through which Canadian society has depicted Indigenous culture for more than a century. So what does narrative sovereignty look like in practice and on the ground — particularly in creative fields where Indigenous professionals have been in the minority? What do cultural appropriation and cultural autonomy mean in fact-based fields like journalism and documentary film? Do non-Indigenous storytellers have anything to contribute to their Indigenous colleagues? These were the topics at a recent panel discussion at the Centre for Free Expression at Ryerson University in Toronto in late 2018. It was moderated by writer and broadcaster Rachel Giese. Métis writer and performer Jani Lauzon participated in the panel. She remembers her experience acting in a mainstream feature film, some 20 years ago — one that was based on the real-life murder of an Indigenous woman. She feels the filmmakers' default perspective, and lack of consultation with the community of the victim, skewed the narrative inaccurately. From that experience, Lauzon and others formed an Indigenous women's theatre collective. She strives always to tell stories that draw accurately and respectfully from Indigenous people and their history. 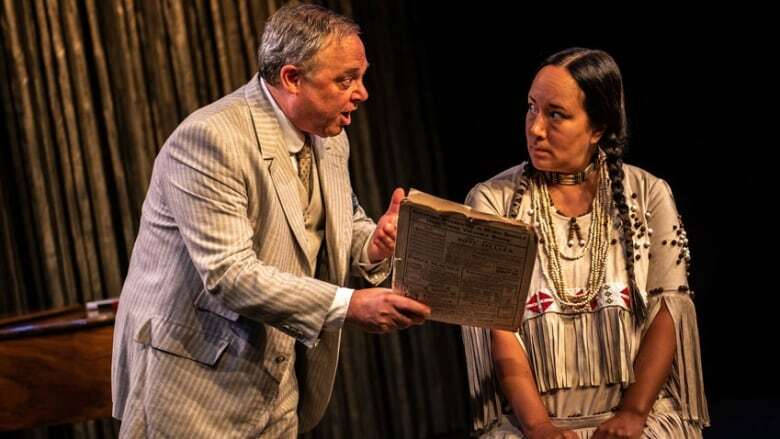 She does collaborate with non-Indigenous professionals in her working life, but says Canadian theatre is now in a period of transition, as default views on matters of creative license, and working roles, are being questioned. James Cullingham is a documentary filmmaker. Non-Indigenous, he's made films in and about First Nations communities in previous decades, often collaborations with Métis documentarian Gil Cardinal. He feels that a diverse creative team can produce excellent work, and that creative tensions can be healthy. But he says non-Indigenous filmmakers need to work "in a context of being aware of appropriation, misappropriation, and intellectual property theft...with respect, and curiosity. All of these things have ethical dimensions that any storyteller constantly has to be attuned to, and...being more sensitive to those issues is one of the things I've gained from working with my Indigenous collaborators." Journalist and CBC broadcaster Duncan McCue is a prominent Anishinaabe journalist. He says "editorial independence is critical to every working journalist. But what it means, ultimately, is that every journalist — myself included — who goes into a community is not necessarily a storyteller. They're a story taker." He points out that Indigenous people have long experienced cultural theft, and have seen the complexities of their stories subsumed to meet the expectations of a mainstream news media and its audience. He works to change that with his own reporting, and in teaching journalists of all backgrounds how to understand cultural protocols outside their own, and report ethically on Indigenous communities. Indigenous filmmakers Alanis Obomsawin, Gil Cardinal and Willie Dunn. **This episode was produced by Lisa Godfrey.